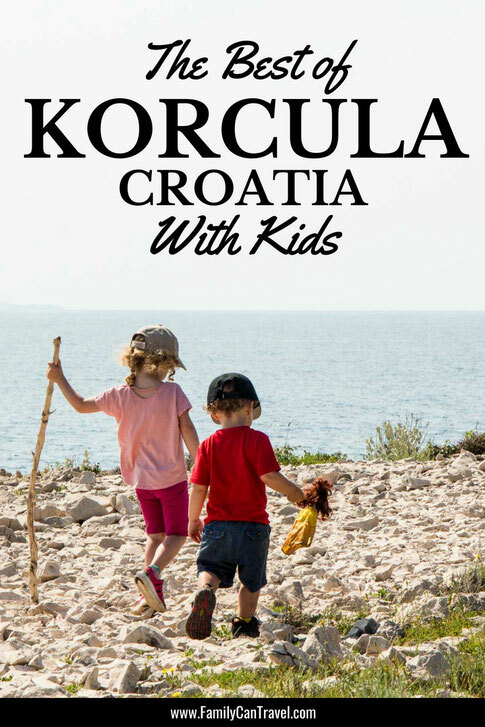 To be honest, we came to Korcula with kids mainly because it was easy getting to Korcula by ferry. 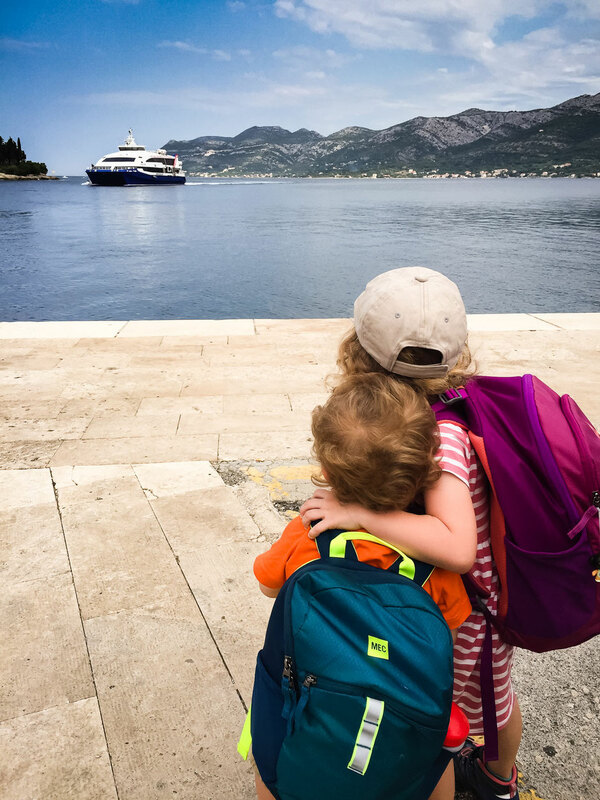 It was a convenient ferry stop between our 2 days on Hvar with kids and our final Croatia stop where we spent 2 days in Dubrovnik with kids. 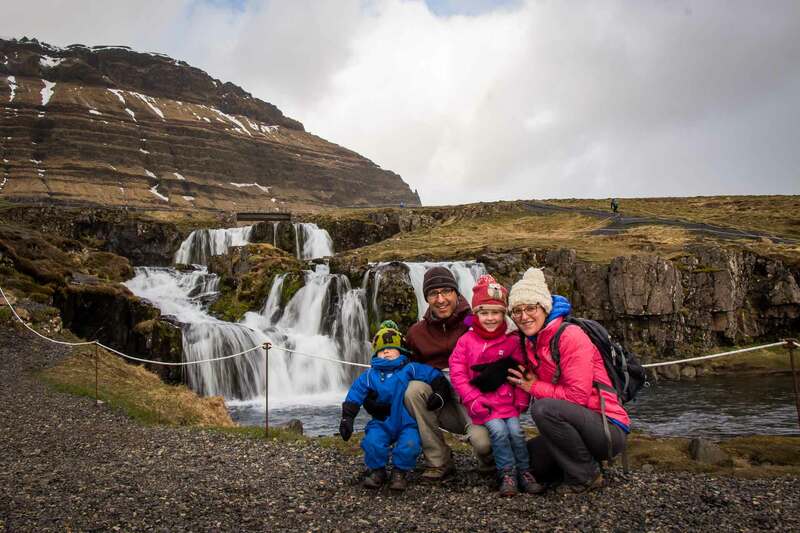 Sure, we had read about how beautiful the town is, but normally we look for more than just a beautiful town, we look for fun outdoor activities like hiking or going to the beach. 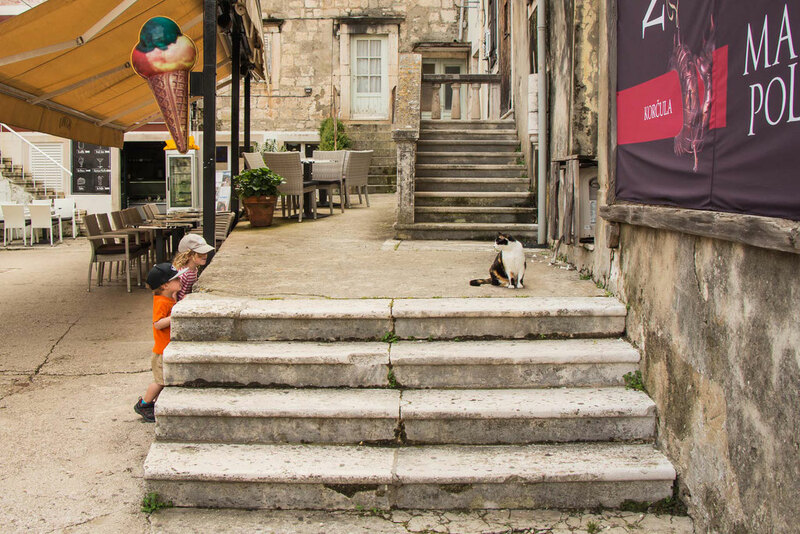 We didn’t know what to expect or exactly what to do in Korcula, but we ended up having a really good visit, full of stuff we like to do! 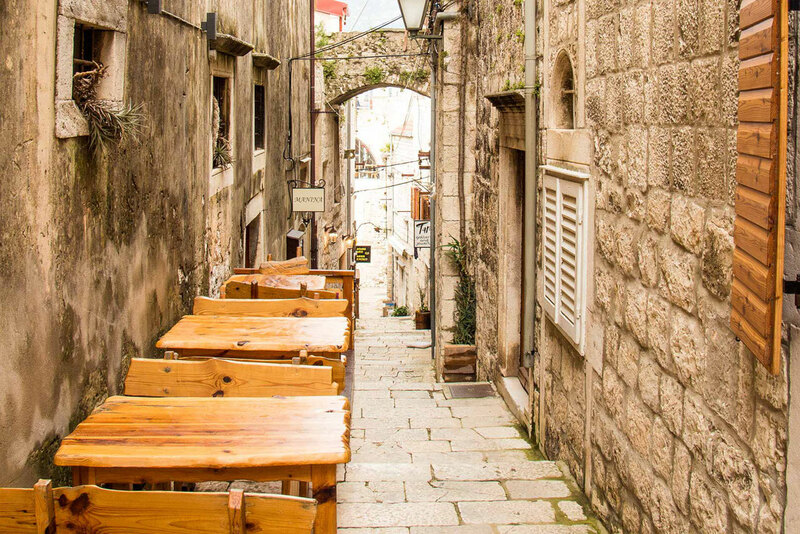 Korcula is a small city blessed with an amazing Old Town. Filling a small thumb-shaped peninsula, the walled city dates back to the 15th century. It’s fish-bone layout was ingeniously designed to keep them warm in the winter and cool in the summer and is a ton of fun to explore. 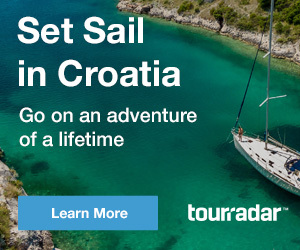 Our ferry from Hvar arrived mid-morning and we waited out a lunchtime thunderstorm in our Airbnb apartment. After our little guy’s nap was over, we walked to the Old Town to do some exploring. 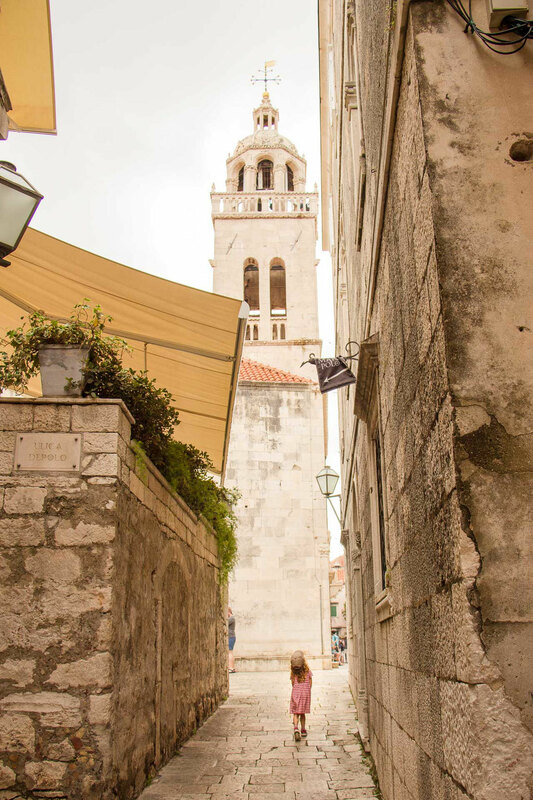 We entered Old Town through the south gate via a large and elegant stone staircase. 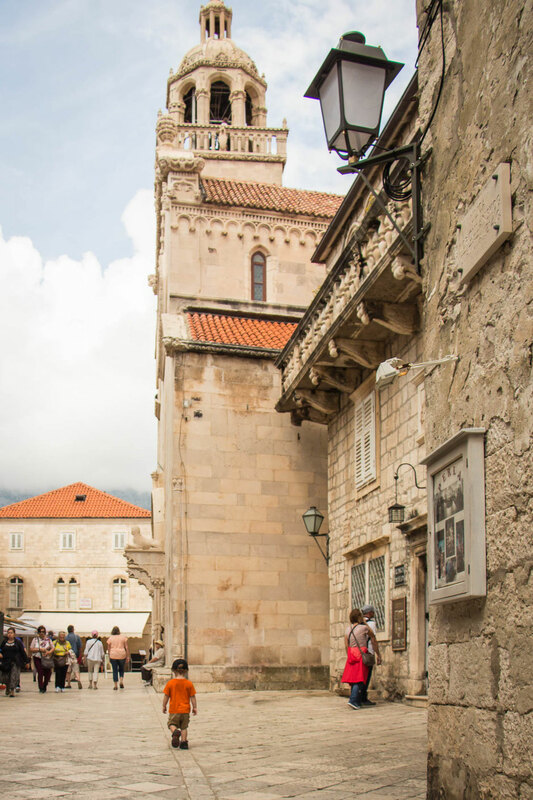 We walked up the main street all the way to the end, stopping along the way to admire the Cathedral of Saint Mark, the charming side streets and do some souvenir window shopping. 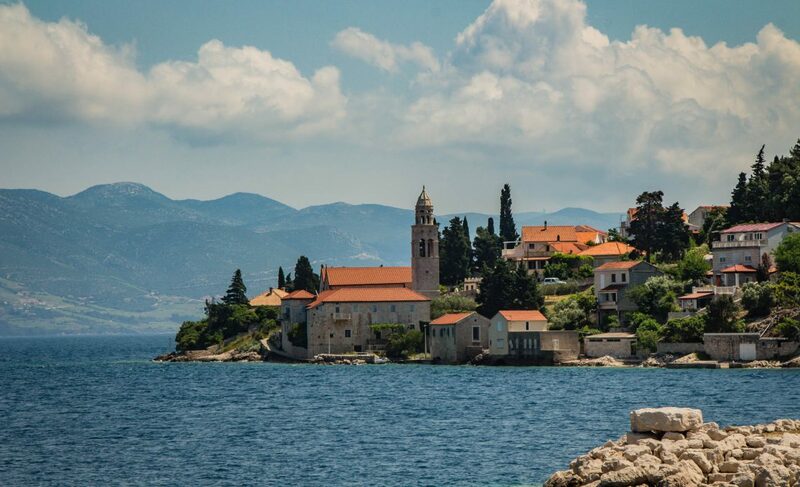 Once we reached the north end we stopped and enjoyed the views of the towering mountain of Peninsula Peljesac across the water. Turning back south, we started letting the kids decide which side streets we were going to explore. The kids loved these narrow passageways with flowers, restaurants, shops, stairs to climb, houses, etc. 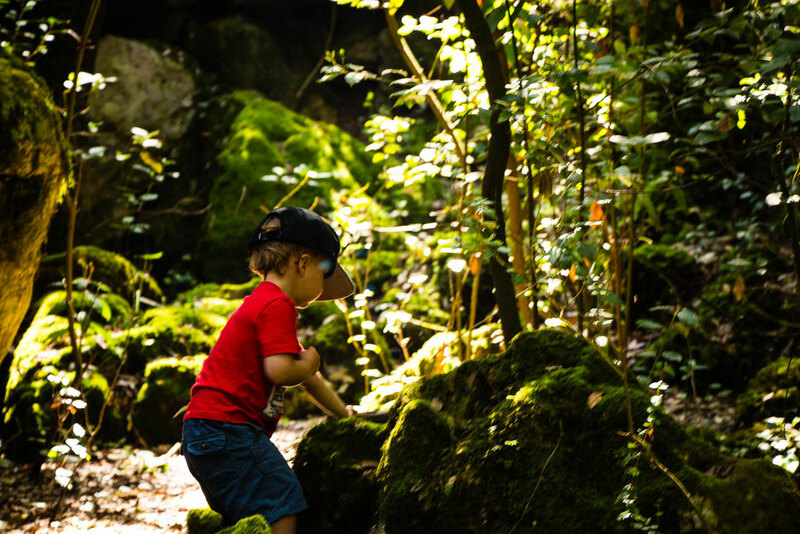 There was a new adventure or surprise around every corner. It wasn’t long before the skies were threatening rain again, so we headed towards home with the intention of coming back another afternoon to finish our exploring. 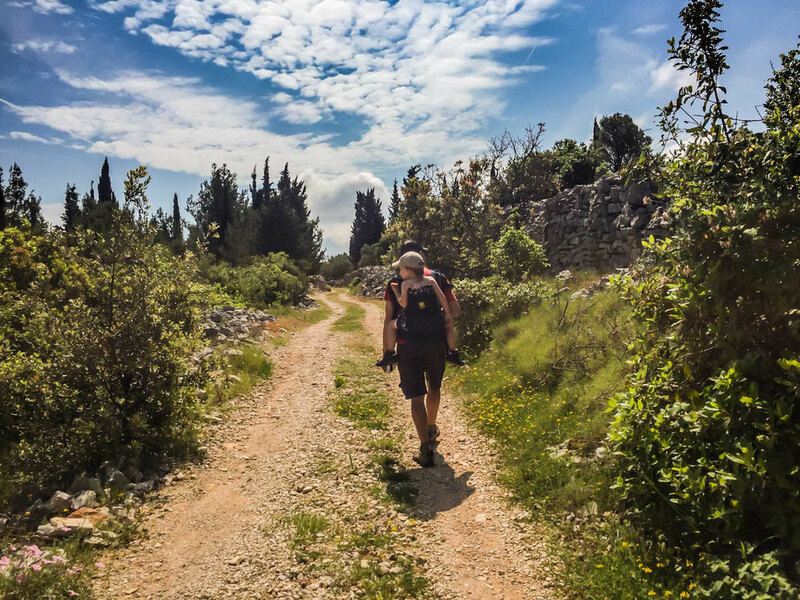 For our first full day on Korcula we did an awesome hike – one of the best on our trip! Our 4.5 hour, 7.5mile (12km) hike took us to the British built fort (“Fortica“), perched high on a hill to the SW of town. It then wound through Zrnovo, one of the oldest settlements on the island. The feature stop on the hike was the Kocje Protected Area, home to a narrow valley with some pretty amazing rock formations. This small area is overgrown with moss and ivy vines, turning the place into vibrant green, even in the shade, making the whole place feel magical. 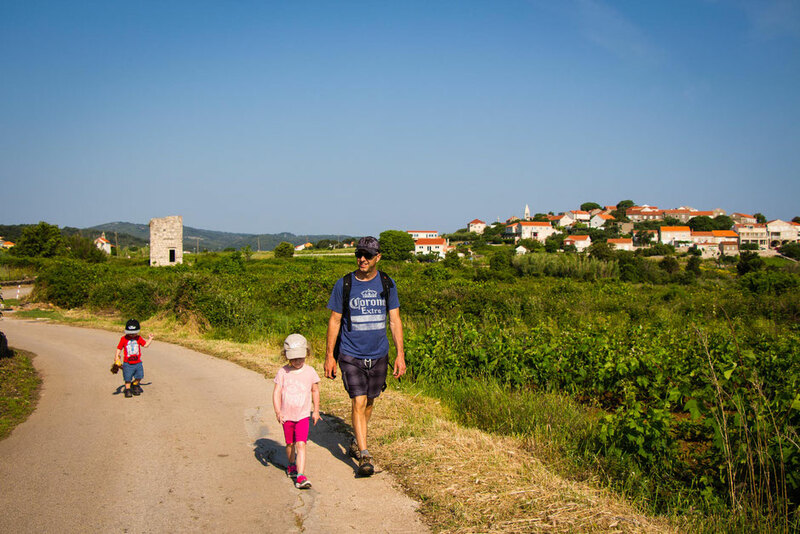 The entire hike treats you to amazing views of the countryside and the Adriatic Sea below. 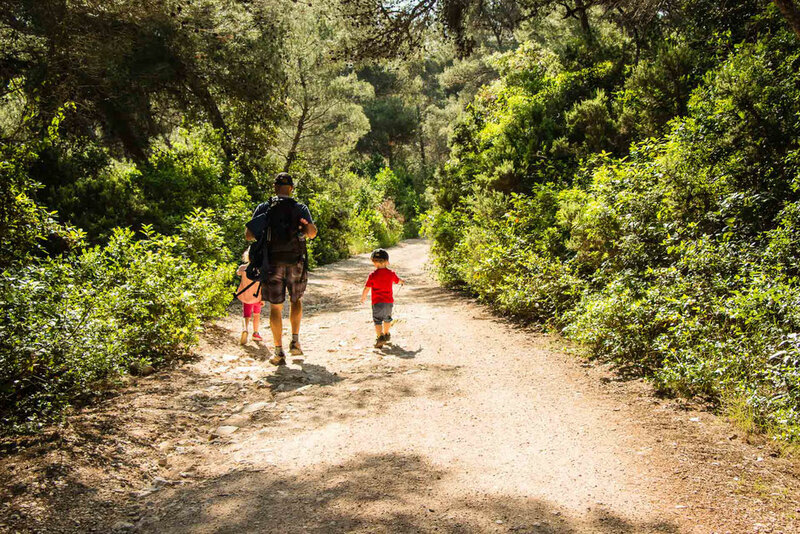 If you enjoy a good family hike, we highly recommend this one. 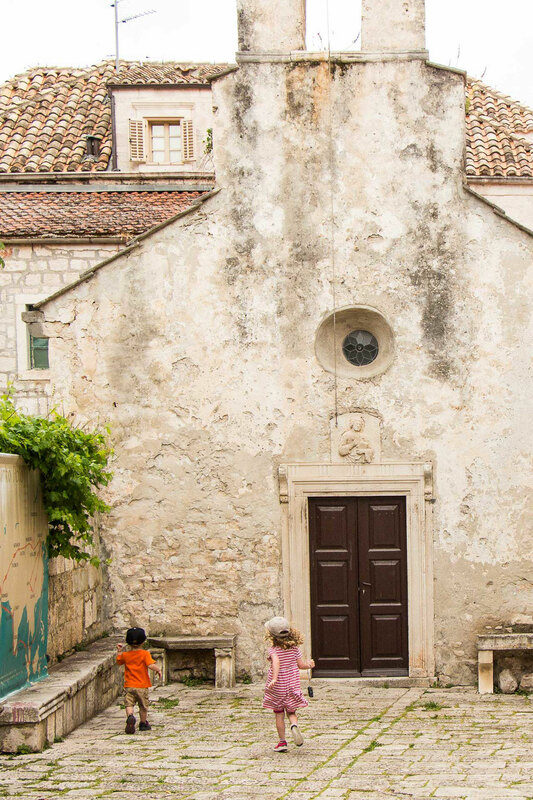 It ended up being our favourite of the things to do in Korcula with kids. 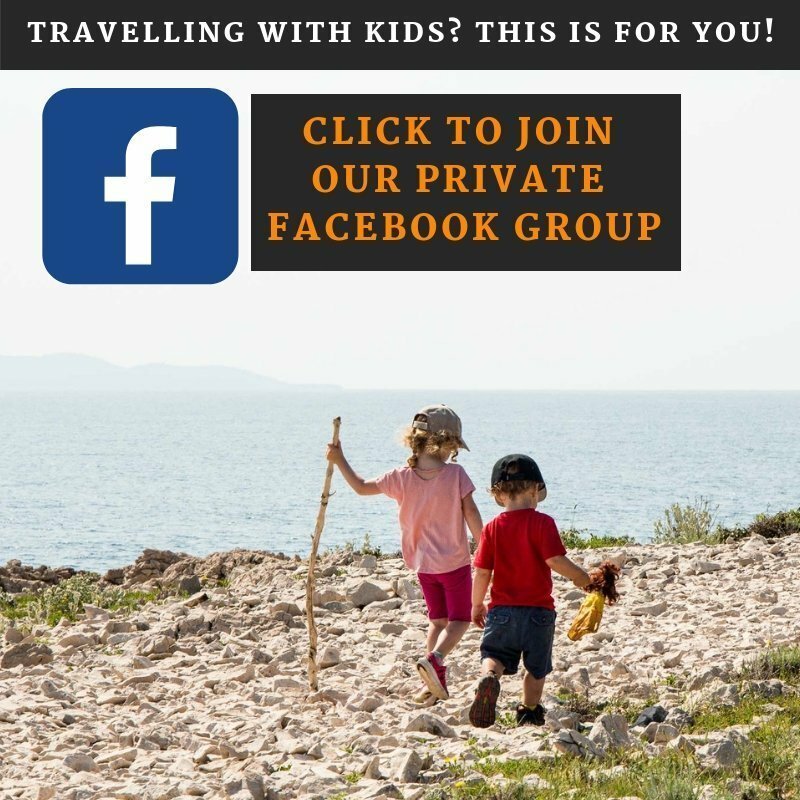 For more details, read more on Hiking from Korcula to Kocje with kids. In the afternoon, we walked back to a tiny little beach we had passed on our way back into town after our hike. It’s no greater than 5 feet deep and maybe 40 feet wide, but it had small rocks and small waves and was a decent place for the kids to play for an hour or so. 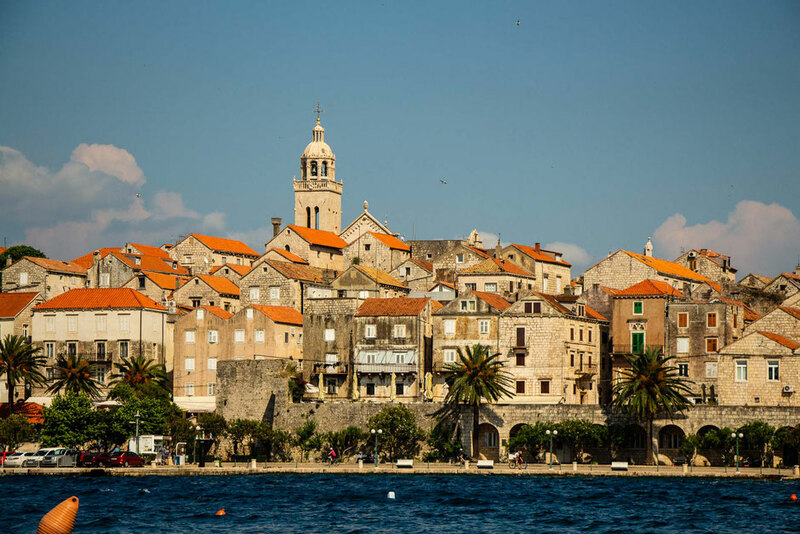 It’s close enough to town that it affords some pretty amazing views of the Korcula peninsula. The beach was a little dirty, with lots of smooth beach glass, etc, but it wasn’t so bad that it wrecked the outing for anyone. The kids mostly spent their time finding interesting rocks, then chucking them into the water. Unfortunately, we didn’t spend any time in the town of Lumbarda, but this post is full of things to do in Lumbarda. 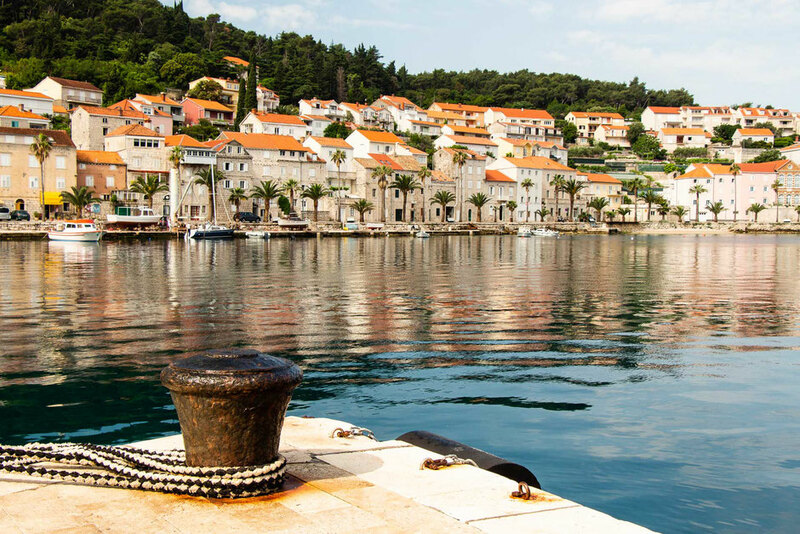 From here, there are two roads to choose from – the southeast one goes to Przina Beach and the eastern one goes to a Peninsula Raznjic which sits at the very eastern edge of Kocula Island. 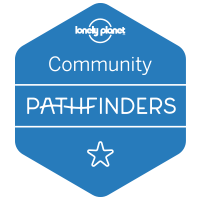 We were interested in the walking trails along the peninsula, so we walked east. 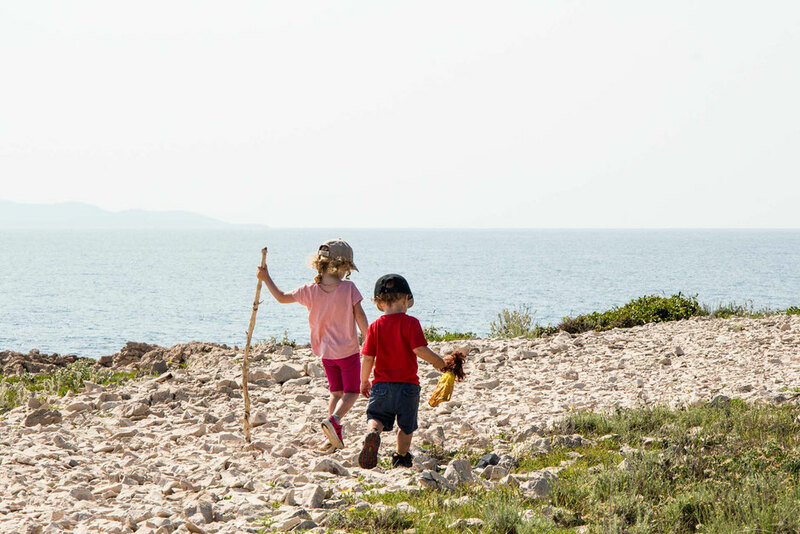 The walk towards the peninsula was on a quiet country road lined with vineyards and olive groves. It was a very enjoyable walk and we even got to see two large and colorful pheasants. Soon the road transitioned to forest which provided some welcome relief from the hot Croatian sun. The road climbed up a little bit, providing some very nice views of the Adriatic and the surrounding islands through breaks in the trees. Soon enough, the road start to descend towards sea level and ends at the entry point to Peninsula Raznjic. Peninsula Raznjic is small, but it packs a lot of scenery into it. 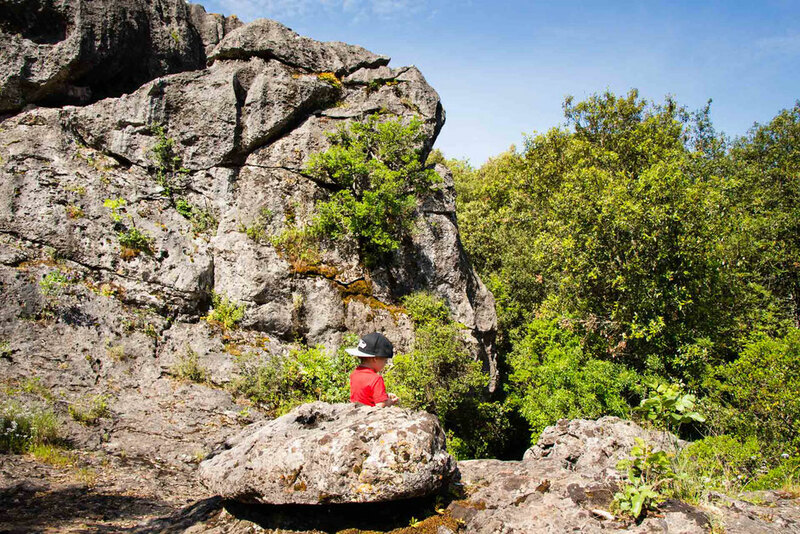 Round in shape, the peninsula has a ring of visually interesting, uneven & jagged rocks along the coastline with a small forest in the middle. 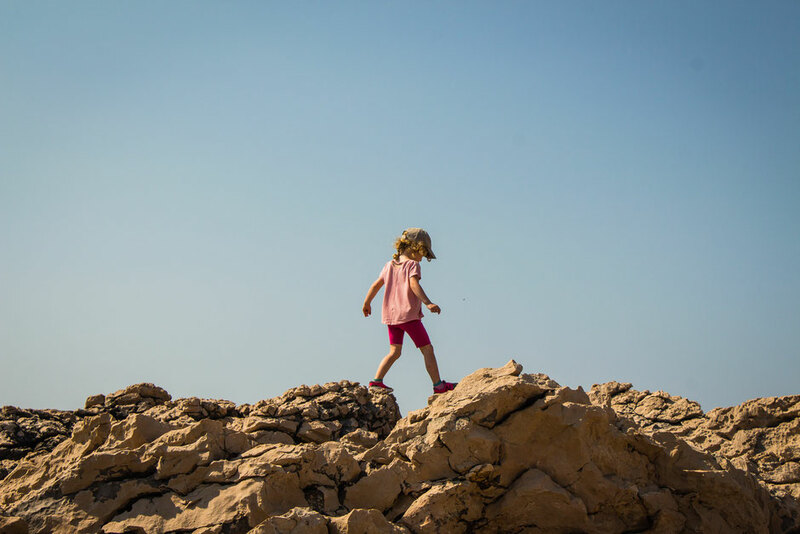 The rocks are hard to walk on, but there is a trail around the outside which makes walking a little easier. We stopped in a shady spot at the edge of the trees to have a mid-hike snack before slowly walking all the way around. Everywhere you look the views are spectacular and our kids had a ton of fun running around exploring this unique setting. Our next stop was Przina Beach. To get there, we had to walk almost all the way back to the bus stop, turning left onto a country road just before reaching the church. 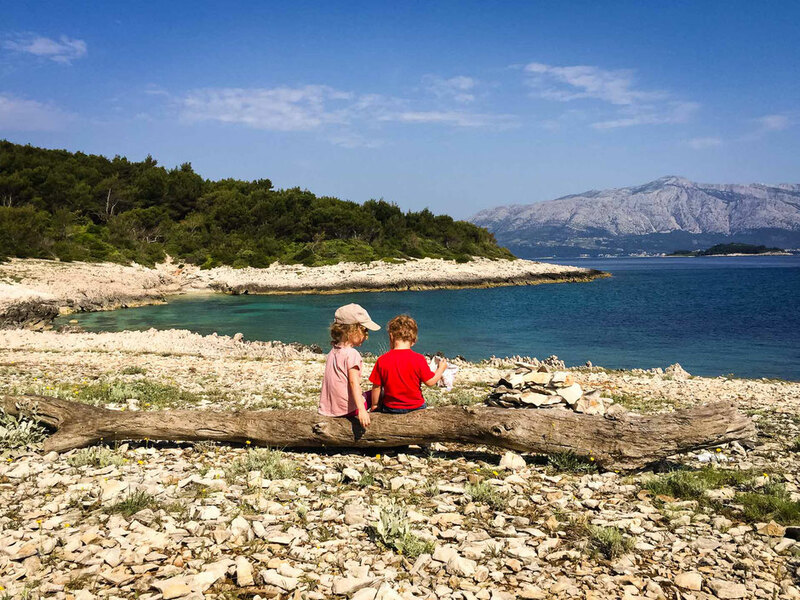 Our Airbnb host recommended Przina Beach to us as a good place to take our small kids. Przina Beach is a very rare beach for Europe as it has real sand! 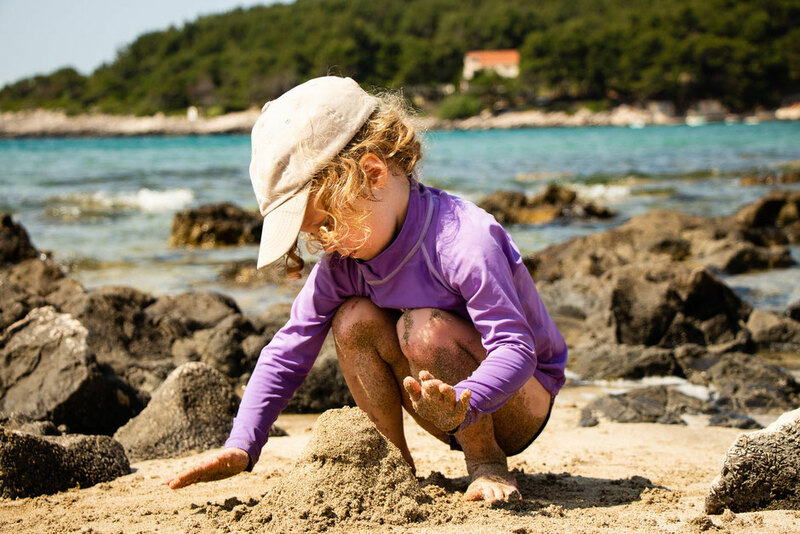 It’s a long beach and some of the shallow areas are rocky, but there are large stretches with honest-to-goodness sand, both on the beach and in the water! 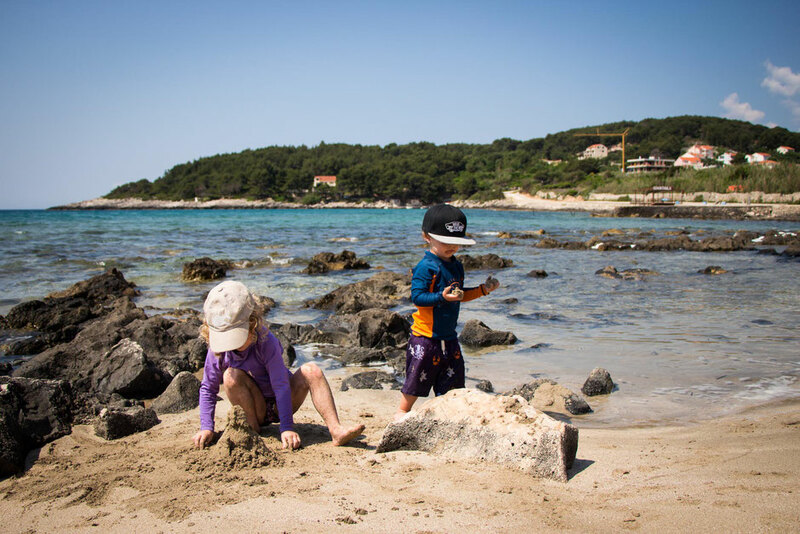 It was one of the few beaches with sand in Croatia that we came across. Our kids wanted to play in an area which had mostly rocks in the shallow part of the water, as there were lots of little tide pools for them to play in. We saw a crab and some little fish, but mostly they just wanted to hop from rock to rock and splash around in the water. They were having so much fun we didn’t see the need to move to the part of the beach with a sandy ocean floor. The other really nice thing about this beach is that it stays shallow a long time, making it child-friendly beach and also makes the water warmer than found at other area beaches. At this stage of our trip we’ve been on the road for over a month and it was time to give the kids some well-deserved downtime. We stayed in our Airbnb in the afternoon and let the kids play with their toys and just be normal, silly kids for a while.